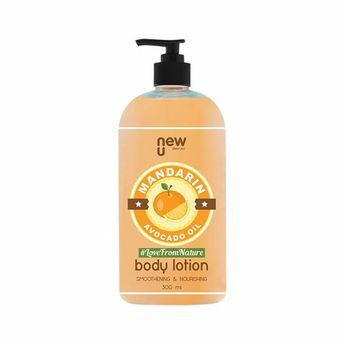 NewU Mandarin & Avocado Body Lotion is a non-greasy formula which easily gets absorbed into the skin leaving it nourished and dryness free for hours. Enriched with Aloe Vera Extract, Shea Butter, Cocoa Butter, Wheatgerm, Avocado, and Sweet Almond Oil along with brightening Mandarin Orange Essential Oil, this lotion will become your new favourite. Refreshing fragrance coupled with long-lasting smoothness makes it a perfect choice for daily use.